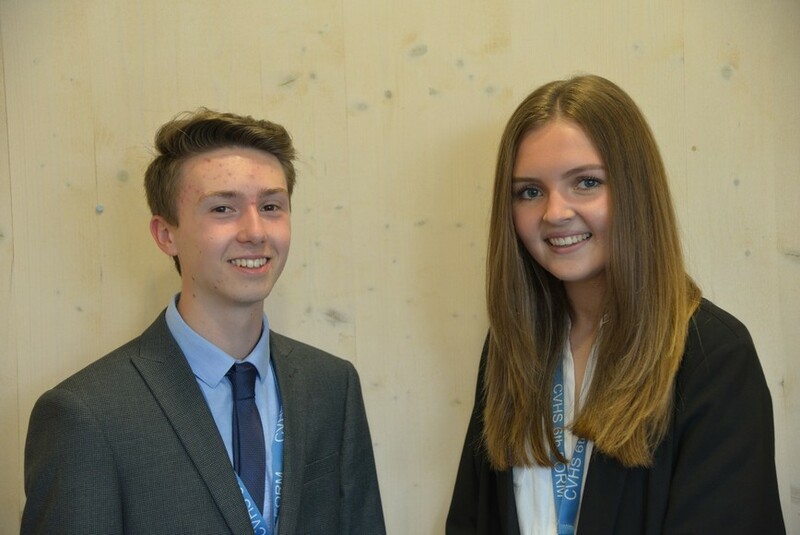 The Head Boy (Martin Eade) and Head Girl (Sophie Mackintosh) help to run Student Voice. Student Voice Aims: To allow the entire student body to explain and voice their view on school life through the elected form representatives in an appropriate setting and forum. Student Voice plays an integral part in the school. Students help to appoint staff, are consulted on school expansion projects, developing subject schemes of work and evaluating the performance of departments. They also have enhanced the school policies and practices and offer their ideas to the Headteacher to improve the school for students, parents and staff. Student Voice is run by the Head Boy and Head Girl and Mr McCarthy. They are assisted by the team of Sixth Form Senior Students and Year 11 Senior Prefects. Student Voice consists of four committees – Enjoyment and Achievement, School and Safety, Health and Family Support. Student Voice Representatives are chosen from each form group and they attend a whole student voice meeting and committee meetings. They conduct questionnaires with their form groups and the results from these questionnaires determine what each committee discusses. The lead representatives from each committee then meet with the Headteacher to share ideas and put forward viewpoints. Last year student voice had a positive impact on the school including: Adapting the house award trip to cater for different tastes and what each house wants, inviting Year 11 and Sixth Form back to attend the house trip, getting independent learning displays around the school, sending Cygnet News out to all students via email, new one way signs around the school and creating links with Broomfield Council. Student Voice is vital in ensuring that all students receive a high quality education during their time at Chelmer Valley High School.